San Francisco’s new Rainbow Honor Walk memorial, which features bronze plaques of notable LGBT advocates embedded into the sidewalk on Castro Street, is riddled with typos. The memorial features the faces of 20 prominent LGBT activists, including Tennessee Williams, Oscar Wilde, and Christine Jorgensen, along with a short paragraph relating their connection to the LGBT community. According to CBS San Francisco, the memorial took several years to build and cost $100,000. Among the typos found in the plaques, Oscar Wilde’s bio points out that he is known for his “bitting” wit, while Christine Jorgensen is among the first “trangender” Americans to publicly announce her gender reassignment surgery, CBS notes. “As soon as we knew that there was anything less than perfection on the plaques, we called the manufacturer and they said ‘Absolutely, we’ll fix it right away, no problem,'” Rainbow Honor Walk President David Perry told CBS. The plaques will reportedly be fixed within the month at no extra cost. After the corrected plaques are installed, the original plaques will be auctioned off to benefit the Rainbow Honor Walk. Supervisor Scott Weiner told CBS that despite the rocky start, San Francisco is proud of its memorial. 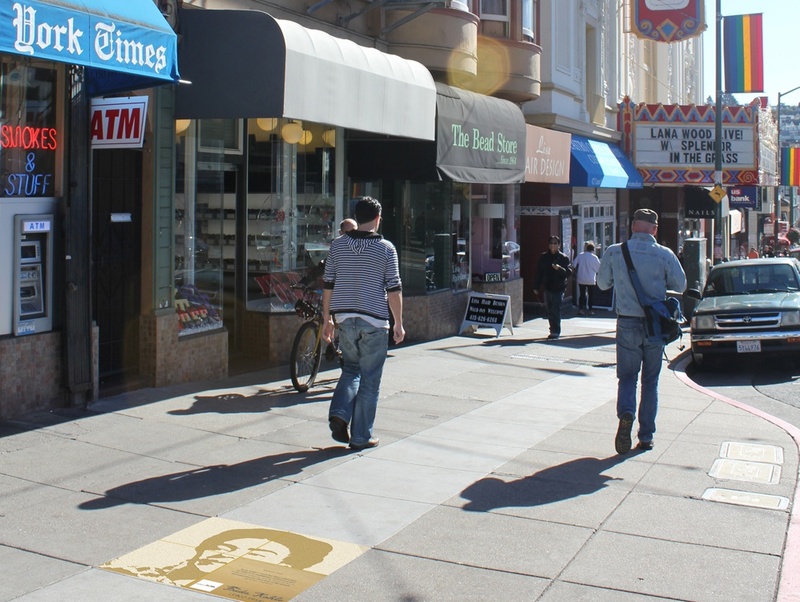 “It’s very exciting, we now have our own LGBT ‘Walk of Fame’ in the Castro,” he said.